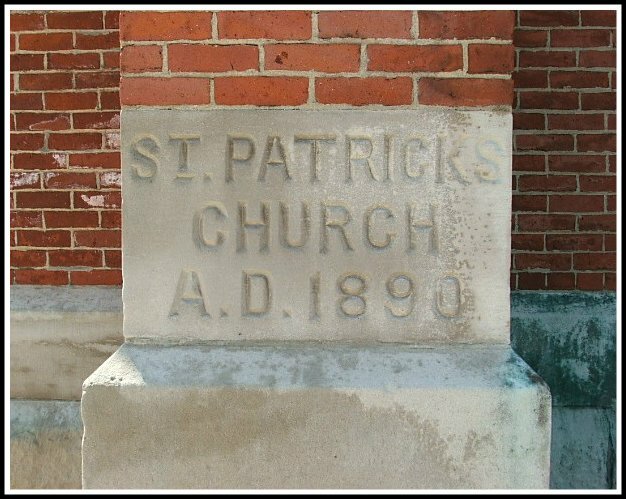 Father Thomas O’Leary was named the first pastor of St. Patrick’s Parish in October of 1889. He began at once to plan for the erection of the church building. An opportunity was presented by which five lots could be bought on West DeWald between Harrison and Webster. The owner of the property was opposed to having a church erected, so Father O’Leary made negotiations for its purchase through George P. Gordon, who bought the lots and then sold them to Father O’Leary. A gloom was cast on the parish on October 24, 1889. Just three weeks after being named pastor of the new parish, Father O’Leary died of acute appendicitis. On November 5, 1889, Father Joseph F. Delaney was appointed pastor by Bishop Dwenger. Ground for the new church was broken on April 1, 1890. The corner stone was blessed by Bishop Dwenger on May 20, 1890. The church was completed in the autumn of the following year. The plans for the church, rectory, and school were drawn up by Charles E. Kendrick. Charles Kendrick and his older brother, Frank, designed many buildings in the area, including St. Vincent’s Villa, St. Mary’s School and the old Wayne Hotel. John Suelzer was the general contractor. The church building measures 167 feet in length, 67 feet in width, and has a frontage of 94 feet. The main aisle is exactly 100 feet long. The church has a seating capacity of 1,100. The spire rises to a height of 185 feet. A 3,800-pound cast iron bell in the belfry was cast in 1892 in Baltimore, Maryland. 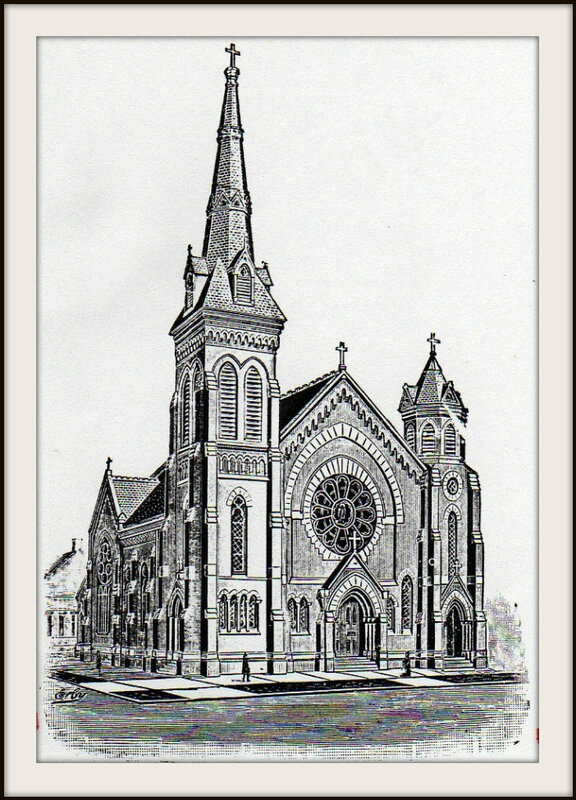 The church was dedicated on November 22, 1891, by the Very Rev. Joseph Brammer, vicar general of the diocese. Bishop Dwenger was seriously ill at the time.